Researchers at the Kavli Institute for Systems Neuroscience in Norway in have discovered a network of brain cells that expresses our sense of time within experiences and memories. “This network provides timestamps for events and keeps track of the order of events within an experience,” says Edvard Moser, Nobel laureate and director of the Kavli Institute, which is based at the Norwegian University of Science and Technology (NTNU). 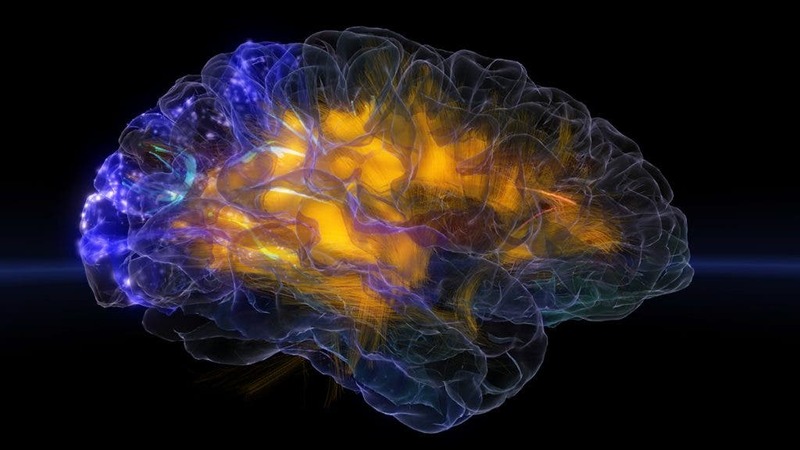 This area of the brain where time is experienced is located right next to the area that codes for space. Clocks are devices created by humans to measure time. By social contract, we agree to coordinate our own activities according to clock time. Nevertheless, your brain does not perceive the duration in time with the standardized units of minutes and hours on your wristwatch. The signature of time in our experiences and memories belongs to a different kind of temporality altogether. Over the course of evolution, living organisms including humans have developed multiple biological clocks to help us keep track of time. What separates the brain’s various timekeepers is not only the scale of time that is measured, but also the phenomena the neural clocks are tuned to. Some timekeepers are set by external processes, like the circadian clock that is tuned to the rise and fall of daylight. This clock helps organisms adapt to the rhythms of a day. Other timekeepers are set by phenomena of more intrinsic origins, like the hippocampal time cells that form a domino-like chain signal that tracks time spans up to 10 seconds precisely. Today we know a great deal about the brain’s mechanisms for measuring small timescales like seconds. Little is known, however, about the timescale the brain uses to record our experiences and memories, which can last anywhere from seconds to minutes to hours. The illustration below shows the episodic time from the experience of a 4-hour-long ski trip up and down a steep mountain, including events that alter the skier’s perception of time. The idea is that experienced time is event-dependent and may be perceived as faster or slower than clock time. 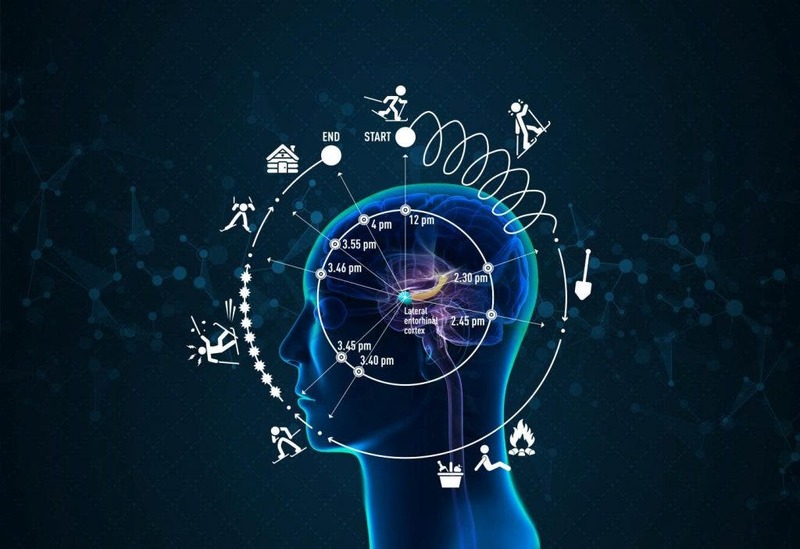 A neural clock that keeps track of time during experiences is precisely what Albert Tsao and his colleagues at NTNU’s Kavli Institute for Systems Neuroscience believe they have discovered. By recording from a population of brain cells the researchers identified a strong time-coding signal deep inside the brain. The neural clock operates by organizing the flow of our experiences into an orderly sequence of events. This activity gives rise to the brain’s clock for subjective time. Experience, and the succession of events within experience, are thus the substance of which subjective time is generated and measured by the brain. In 2005, May-Britt and Edvard Moser discovered grid cells which map our environment at different scales by dividing space into hexagonal units. In 2014, The Mosers shared the Nobel Prize in Physiology or Medicine with their colleague and mentor John O’Keefe at University College London for their discoveries of cells that constitute the brain’s positioning system. In 2007, inspired by the Mosers’ discovery of spatially coding grid cells, then-Kavli Institute PhD candidate Albert Tsao set out to crack the code of what was happening in the enigmatic lateral entorhinal cortex (LEC). This area of the brain is right next to the medial entorhinal cortex (MEC), where his supervisors, the Mosers, had discovered grid cells. “I was hoping to find a similar key operating cell that would reveal the functional identity of this neural network”, Tsao says. The task proved to be a time-consuming project. “There didn’t seem to be a pattern to the activity of these cells. The signal changed all the time, says Professor Moser. It was only in the last couple of years that the researchers began to suspect that the signal was indeed changing with time. Suddenly the recoded data started to make sense. The Mosers needed only to decode the signal of one single grid cell to discover how space is encoded in the in the medial entorhinal cortex. Decoding time in the lateral entorhinal cortex proved to be a more complex task. It was only when looking at activity from hundreds of cells that Tsao and his colleagues were able to see that the signal encoded time. The structure of time has long been a disputed topic by philosophers and physicists alike. What can the newly discovered brain’s mechanism for episodic time tell us about how we perceive time? Is our perception of time linear resembling a flowing river, or cyclical like a wheel or a helix? Data from the Kavli study suggest both are correct, and that the signal in the time-coding network can take on many forms depending on the experience. In 2016, PhD candidate Jørgen Sugar joined the Kavli project to perform a new set of experiments that would test the hypothesis that the LEC network coded for episodic time. In one experiment a rat was introduced to a wide range of experiences and options for action. It was free to run around, investigate and chase bits of chocolate while visiting a series of open space environments. In the second experiment, the task was more structured with a narrower range of experiences and options for action. The rat was trained to chase after bits of chocolate while turning left or right in a figure-8 maze. Moser says the study shows that by changing the activities you engage in, the content of your experience, you can actually change the course of the time-signal in LEC and thus the way you perceive time.